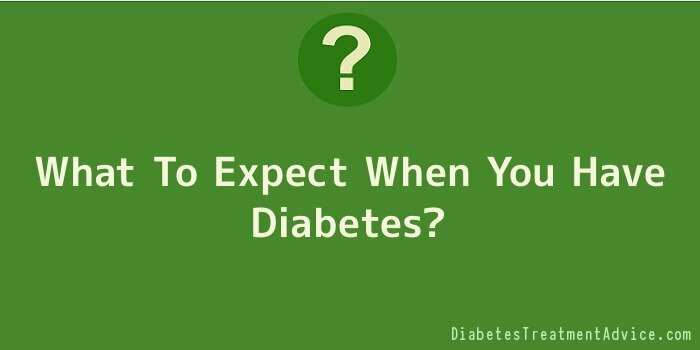 What To Expect When You Have Diabetes? Living with diabetes can be very difficult if you do not know how to properly take care of yourself. There are certain things that you can do to live a more productive life, even if you have diabetes. The tips below will provide you with a little guidance to help you to understand diabetes. If you suffer from diabetes it is a good idea to enlist the help of a qualified, registered dietician. The American Diabetes Association advises that all individuals with diabetes consult with a nutritional counsellor. A dietician will help you to understand how different foods affect your blood sugar and can create a healthy eating plan based on your needs. You should watch what you eat. Your diet makes a huge difference in how your diabetes is managed. Cut out sugary drinks like soda and anything with refined carbs like junk foods and candy. You should try to eat plenty of vegetables and fruits. Also, choose healthy foods that contain fat. If you have diabetes, it can be difficult to go out to eat. Search menus ahead of time to plan your meal properly. If a menu is not available online, you can stop by the restaurant ahead of time and ask for a copy, or you can call and have it read to you by phone. Knowing what the restaurant serves will help you to become more prepared for how you can eat healthy at the restaurant. If your loved one, whether they are a family member or friend, has diabetes, it is up to you to make sure they are getting the care that they need. Often times, people that have diabetes will not take care of themselves without proper support from the people most important to them in their lives. Most artificial sweeteners such as acesulfame potassium (Sunett), aspartame (NutraSweet, Equal), saccharin (Sweet’N Low) and sucralose (Splenda) are fine for people with diabetes. They will not raise your blood glucose levels. However, be aware that sugar alcohols (manitol, sorbitol and xylitol) can raise you blood glucose levels and for some people, cause diarrhoea. Develop a health care team to help you manage your diabetes. This should include your primary care doctor, a hormone specialist to help with your insulin, a registered dietician to help you with your new diet, an eye doctor to keep a close eye on your vision, a foot doctor to pay close attention to your feet and a good dentist. This team should work together to keep you healthy. Check your blood sugar levels regularly. It is possible to have dangerously high or low blood sugar without showing any symptoms. Having a persistently high blood sugar count can cause you to have an increased risk of developing kidney failure, circulation problems, heart disease stroke, and even blindness. Make sure you keep a record of your numbers as well, to watch for trends and sugar spikes. To keep your blood sugar levels from spiking, research high glycemic index foods. If you’re not knowledgeable about what ingredients you should avoid, you may consume something harmful without realizing it. If you need to eat something quickly and don’t have time to look it up, stick to non-processed foods. If you’re overweight, diabetes prevention may hinge on your weight loss. Every pound you lose can improve your health and work toward controlling or even preventing your diabetes. Watch your calorie intake, exercise daily, and start to lose weight. You will be on your way to a positive new start. As a diabetes sufferer, it is important to know about the latest medical advancements. New medical advancements mean that there could be new treatments for diabetes in the near future. Be sure to ask your doctor about any new treatments that may arise and see if you qualify for them. The steps that have been provided should be a great starting point for your diabetic journey. It is possible to live a somewhat normal life, even with diabetes, if you take control of the situation and make the correct choices, right away. Only you can control your journey with diabetes.